The Briegull Mouse is a breed of mouse found on the S.S. Huntington IV. They are not known to drop any loot. The Briegull mouse has no specific preference for any kind of cheese. 4 June 2009: The Briegull Mouse was released as part of the Rodentia expansion. 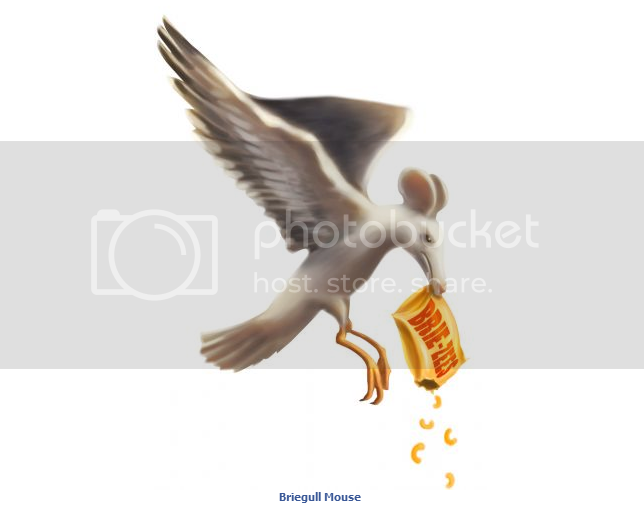 In the artwork, the Briegull Mouse is holding a snack bag labeled BRIE-ZEES.